I have to apologize, because I’m at it again, blogging about something other than the long-promised theme of “Cervantes on the beach.” The distracting factor this time is my trip to Washington, DC this past weekend for the Women’s March on Washington — an amazing experience, though not related to Spanish. While there, I returned to a Mexican restaurant I had enjoyed on my previous trip to the city. It is called Oyamel and features small plates that are innovative and delicious. I strongly recommend it! 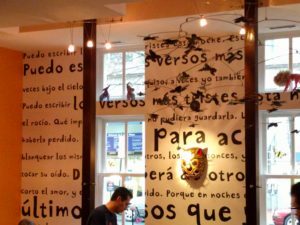 As on my previous visit, I noticed that the words of my long-time favorite poem, Puedo escribir los versos más tristes esta noche, are inscribed on the restaurant’s walls. This time I took some photographs (below). You can see the titular first line of the poem interrupted by the window in the first photo, and wrapping around the corner in the second. Puedo escribir… is one of the most famous poems by Pablo Neruda, the Nobel Prize-winning Chilean poet. It is part of his Veinte poemas de amor y una canción desesperada, published in 1924. 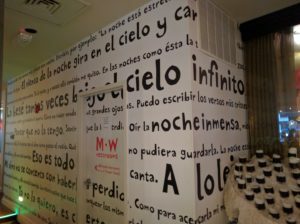 Readers familiar with Hispanic literature will wonder, of course, why a Mexican restaurant is decorated with Chilean poetry. Perhaps this is because Oyamel is part of a larger restaurant group run by José Andrés, a Spanish chef, whose restaurants include cuisine from around the Spanish-speaking world. At any rate, it was a thrill to be able to enjoy my favorite poem while enjoying a delicious lunch with friends. 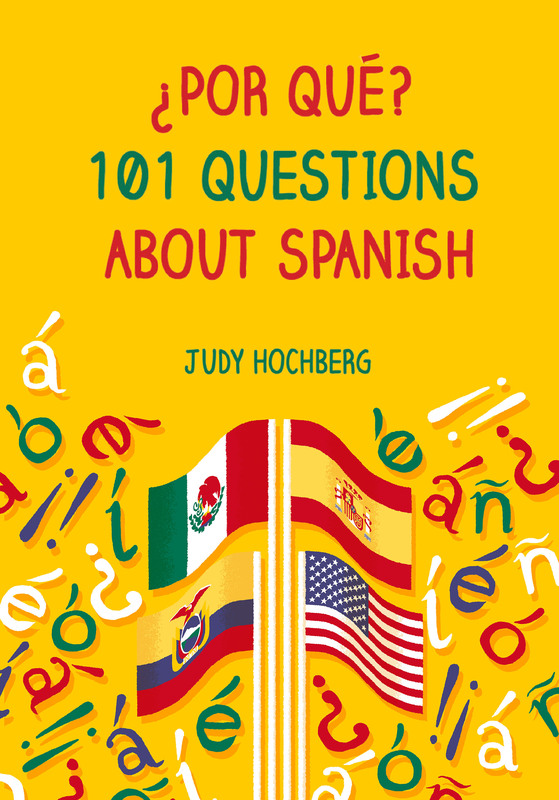 This entry was posted in Spanish in the world and tagged José Andrés, Oyamel, Pablo Neruda on 23 January, 2017 by jhochberg.